Writing and literature are thought to have been first developed between the 7th and 4th millenium BC. Since the dawn of writing an incredible array of different materials have been used for recording text, including clay, silk, pottery, papyrus, even coffins – so the question of the oldest surviving book depends very much on how you classify one. The Mirriam-Webster Dictionary defines a book as: a set of printed sheets of paper that are held together inside a cover; a long written work. This definition rules out clay tablets, scrolls and similar, though many scholars have expanded the definition to include any significant piece of writing bound together inside a cover. The question can also touch on the nature of the book. Some scholars have considered that a significant book should contain a worldview, setting it apart from mere accounting or administrative records. We have tried to pull together what we hope is an interesting range of some of the oldest surviving books in the world. We cover everything from the earliest surviving printed books, to the oldest known surviving book in existence. 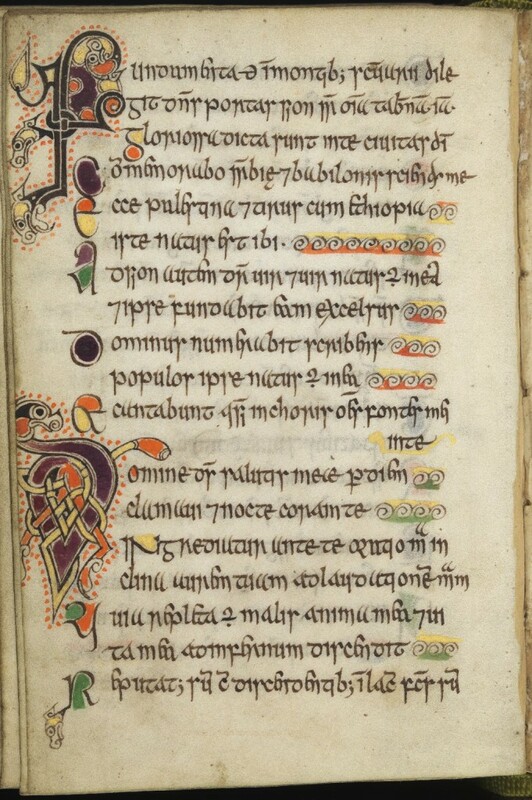 You can view pages of the Celtic Psalter on the University of Edinburgh website here. You can now view the a digitised version on the book on the British Library website. 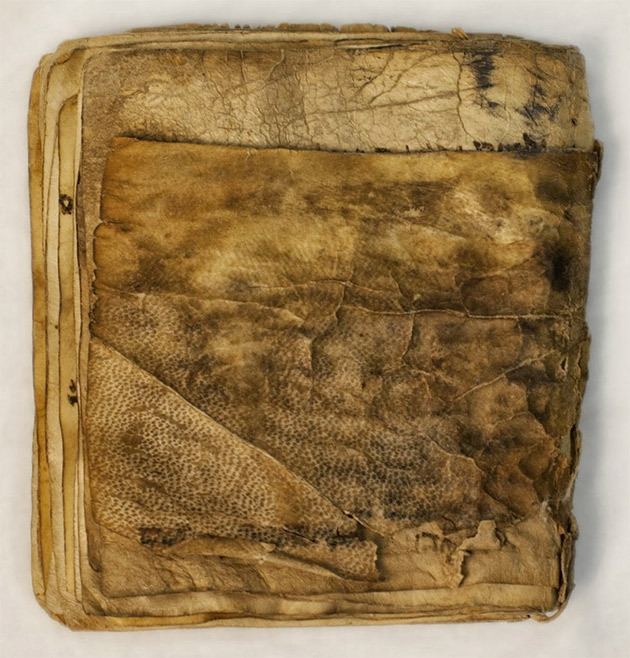 Containing holes around the edges, scholars think they were once bound together. Two are written in Etruscan text, with one written in Phoenician – comprising of a dedication from King Thefarie Velianas to the Phoenician goddess Astarte. Sources: 1, 2. Image: 1. We hope you have enjoyed reading our article! This article is read by 100s of thousands of people every year. If you have enjoyed the article please consider making a small donation! Wigan Lane Books is an online book store based in the UK, specialising in rare books and books of interest. Click here to view our homepage, Like us on Facebook or follow us on Twitter! This entry was posted by wiganlanebooks in Interesting and tagged Books, Bound Books, Old Books, Oldest Books, Oldest Known Books, Oldest Surviving Books. Wow, fantastic article. Like a journey through time! What a wonderful and thought provoking article, Thank you so very much! Why no “Emerald Tablets” ????? Koran or al-Qur’an (holy book of Islam) was written in 650 AD. Yes but there is no original. These are the actual orininal books. After all platos republic isn’t there either nor is the book of the dead. There is an original copy of Quran in Birmingham FYI. I think it means physical copies. IDK if there are any physical copies that old. there are no existing copies of the Koran from that time. The other books listen are much older than any existing copy of the koran. Absolutely wrong. The oldest Quran in the world is in Tashkent, Uzbekistan and is at least 1300 years old. What about the Book of Job? I heard it was the oldest book, and the cosmic argument? No original. These are originals. The oldest surviving ones. Otherwise you could include older books than Job. This article is about the oldest surviving manuscripts. The original manuscript of Job is no longer in existence, but if it was it would be on this list. Where are the Indian books? Thank you for taking the time to gather these items in a single location. I’m looking for a list of the oldest books in terms of content. Example being the Iliad, written somewhere around 800 BC, not physical books. What no mention of the Codex Gigas 800 yrs. old and the Voynich Manuscript 585 yrs. old. How did sub-Sahara Africa get overlooked when you compiled your list? You left out, or jumped over, the Codex Sinaiticus (now in the British Library) and the Codex Vaticanus (held by the Vatican). These are the oldest Bibles dating to the fourth century CE. Pingback: Why printed albums instead of disks? Estimated to be 5000 years old but we believe it’s much older! “Rigveda” is one of the oldest extant texts in any Indo-European language. Philological and linguistic evidence indicate that the Rigveda was composed in the north-western region of the Indian subcontinent, most likely between 1500–1200 BC,though a wider approximation of 1700–1100 BC has also been given. Yes but again although the original texts may be dated by language experts to 4k years or whatever no originals survive. The article is concerned only with extant actual manuscripts. Not copies or reprints or mentions in other scripts. Rig Vedas had been written and read since 1700 BC. Hence, it is the oldest book/text. VEDAS are far far beyond this. Why aren’t you mentioned those?? @Sangeeth: Which is the oldest surviving copy of the Vedas? And in which museum is it kept? The article refers to oldest surviving COPY of texts and not to the age of the information contained therein. While the Vedas may be ancient, they were passed through generations using the oral tradition. So the oldest surviving copy of the Vedas may not be very old. If you believe a copy of the Vedas exist which is older, please let us know the name of the museum it is kept in. Here is the original Veadas kept. Bhandarkar Oriental Institute in Pune, Maharashtra. These two manuscripts are written in Sanskrit and were found in Rajasthan. Just one thing about the Madrid Codex. It couldn’t have been discovered in Spain and be written in Mayan languages since those are native Mexican languages. It was more likely taken from the Mayans by the Spaniards during the colonization of Mexico. It would make sense since the Yucatecan Peninsula was one of the last parts of Mexico to be colonized, it was also probably the most challenging. This is so interesting, I had no idea about some. That’s a lot of years old! Cool! It’s just like a journey through the time. Odd that the many books of the Dead Sea scrolls are left off the list, since some of them date to 100-300BC. The correct name for the island of Lindisfarne is: The Holy Island of Lindisfarne situated off the Northumberland coast in England. Accredited thus due to St Cuthbert who lived and died there. Following viking raids at the time his body was moved to Chester le Street for a few hundred years and later moved to his final resting place in Durham Cathedral, England. What about the Tao Te Ching? A lot of books asked about here are not the originals that inquirers lay claim. Examples: Iliad, supposedly written in 800 BC, but the oldest copy is 10th Century AD. 10 chapters of Job were found in the Dead Sea Scrolls, but these are just copies, not originals. Wow what a good collection of rare and the oldest books. Thank you very much for providing such incredible information with photos of it. I am deputy chief librarian of Samtse Higher Secondary School in Bhutan, a small country that lies in South East Asia. Thank once again to all concerned for your wonderful upload of such information. I worked in the Huntington rare book library in San Marino, Ca. for 22 years. Great article! What about the instruction of Ptahotep? It was published in 2388 B.C during the 4th Kemetic dynasty. Rigveda was the oldest book which was composed 3500 years ago. Rigveda was recited and heard rather than read. Unfortunately, it was printed only 200 years ago that is why this book is not in this list.